Keymark Enterprises is pleased to announce the commercial availability of its proprietary steel truss solution called KeyTruss; the latest innovation in steel framing. KeyTruss is a new and unique steel-truss system that combines the benefits of standard C-shaped steel trusses with a series of new capabilities that greatly improve performance in truss manufacturing, assembly, logistics, and installation. The KeyTruss system leverages Keymark’s end-to-end solutions for steel framing. Keymark’s truss design software, GS Truss, automatically engineers trusses and optimizes the outputs for manufacturing. The output files are then loaded into Keymark’s GSS-2 roll former, the most advanced of our roll former product line. The webs and chords are punched, marked, rolled, and sheared exactly to design specifications. KeyTruss’s in-plane construction reduces shipping volumes and costs, since each truss is a single layer that lines up nicely. KeyTruss’s robust design reduces the need for web bracing, making installation faster, easier, and cheaper. 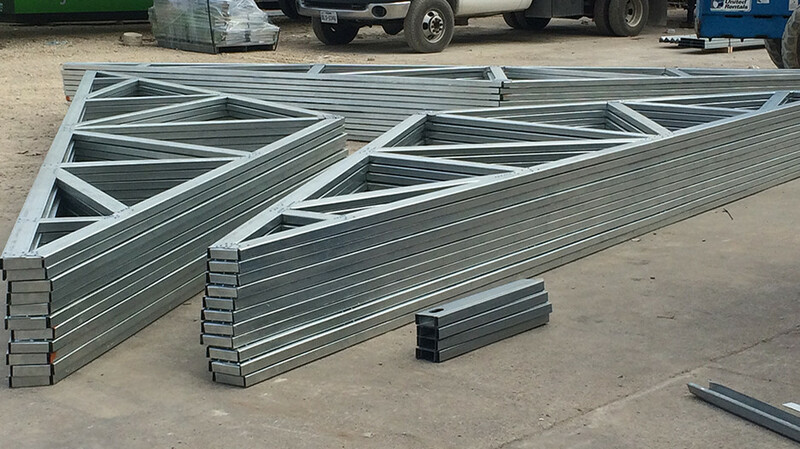 KeyTruss is available to be shipped directly from our factory in DFW area, or we can ship product neatly bundled so the assembly can be completed at or near the job site. Either way, the KeyTruss system is the steel-frame-truss solution for you! Contact us today to find out more about this exciting new steel truss solution.